Playtonic has announced that the open-world platform adventure Yooka-Laylee is coming to Nintendo Switch on December 14, 2017 digitally via the Nintendo eShop. 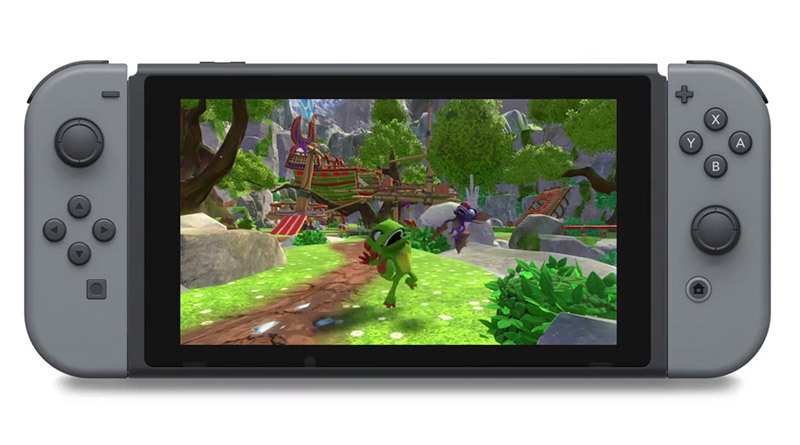 Available to pre-order from the Nintendo eShop from December 7, Yooka-Laylee for Nintendo Switch features lots of polish and updates, including single-JoyCon play across all eight multiplayer games, a custom Achievement system, plus the ability to take the collecting duo on the go without the need for extravagant extension leads. The Playtonic team has spent many months optimizing Yooka-Laylee for Nintendo Switch, with technical help and support from Nintendo and Unity themselves, and they believe they will be delivering a version Nintendo fans can be proud of. Players can expect a quality experience both on and away from the television and on top of that, Switch players will benefit from the huge list of updates added since launch such as a brand new camera mode, control improvements, menu options, music… and a lot more.